Architects have an eye for "function and design." Jessica from Blue Bird Heaven is a former architect making and creating designs that are not only functional but very cool and tasteful. I received a small Printer Jewelry Display in yellow from Blue Bird Heaven. 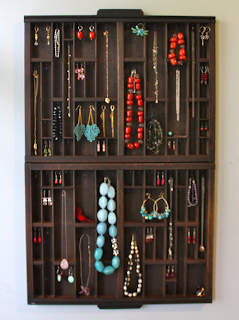 This display is possibly the coolest jewelry organizer I have ever seen. I love the way it looks on my wall; this picture doesn't do it justice. :) I had a hard time choosing the color for the disply, but the yellow is a nice shade that transforms my jewelry into a collage of art. The printer displays are all antiques and are all re-purposed making them each unique. One reader will win a $50 GC from Blue Bird Heaven! US and Canada only. Tight Wad in Utah on Facebook. Giveaway will end Tuesday, November 22nd at midnight MST. Winner will be chosen by Random.org. I was given a Jewelry display to review, no other compensation was received. Email addresses will be deleted after giveaway. Your privacy is important. US & Canada residents only. I love the black block key rack! I love the green printer drawer I saw in my etsy email this morning! So cute!! 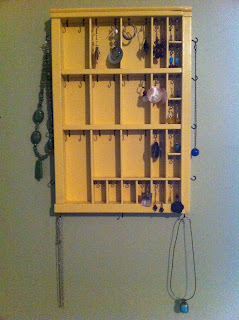 I have two of these amazing jewelry organizers in two vending locations and always recieve compliments on them. I love the folding one, look foward to having it one day! I love the moss green organizer. So cool! I've actually known about this shop for awhile, and I've always loved the letterpress drawers in turquoise and dark grey the best. I mostly know the shop for the larger hanging ones, but the smaller ones (tabletop?) are lovely as well. My fave is the moss green jewelry display... I've been wanting one of these for months!!! I like the red hook rack for hats or jackets. I also like the distressed hook rack. I unfortunately don't use jewelry and the prices are a little steep. I LOVE the Dill pickle Jewelry display !!! I like the Red Block Key Rack. Very creative. kristiedonelson(at)gmail(dot)com Thank you. 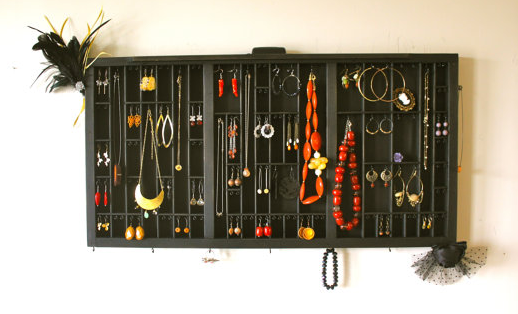 Love ALL jewelry organizers, no exceptions! Love the black distressed jewelry organizer! I like the classic white distressed hook and board. I like Listing # 81332639 I want this for my house, and I want to share the portable idea with my cousin who sells jewelry! Listing # 81332639 I think this is great, and I want it for my house. My artist friends will love this item for their sales! I love the Rolling Pin Rack, so cool! I love the Printers Drawer Jewelry Display. I've actually been looking for a great way to hold my jewelry. This is perfect! 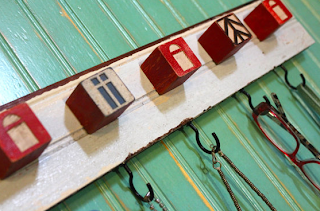 I love the Baby Block Custom Name Hook Board so cute. I love the Jewelry Display in Distressed Teal! I like the Red Block Key Rack. Thanks for the giveaway. Happy Thanksgiving! kristiedonelson(at)gmail(dot)com Thank you. 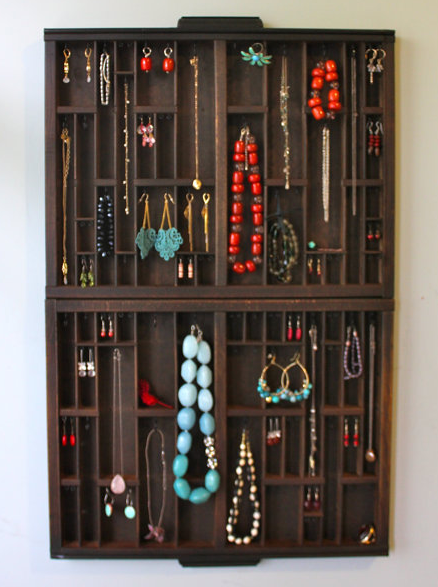 Really like the Jewelry Holder in Natural Wood!